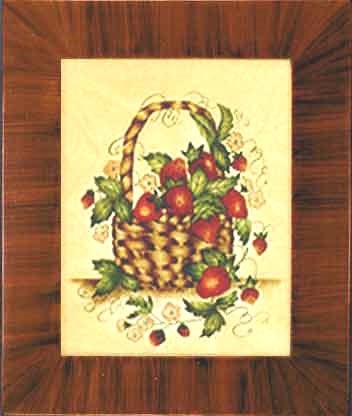 Description: The strawberry basket painting is based on a traditional theorem painting. The basket contains strawberries with flowers around the basket. As pictured the frame is done with red ray graining. Glass Size: 8" x 10" - Framed Size: 12" x 14"
Call me at 757-565-1559 if you have any questions. We accept secure payments through PayPal. You can pay with a credit card, you don't have to setup a PayPal account just click on checkout! 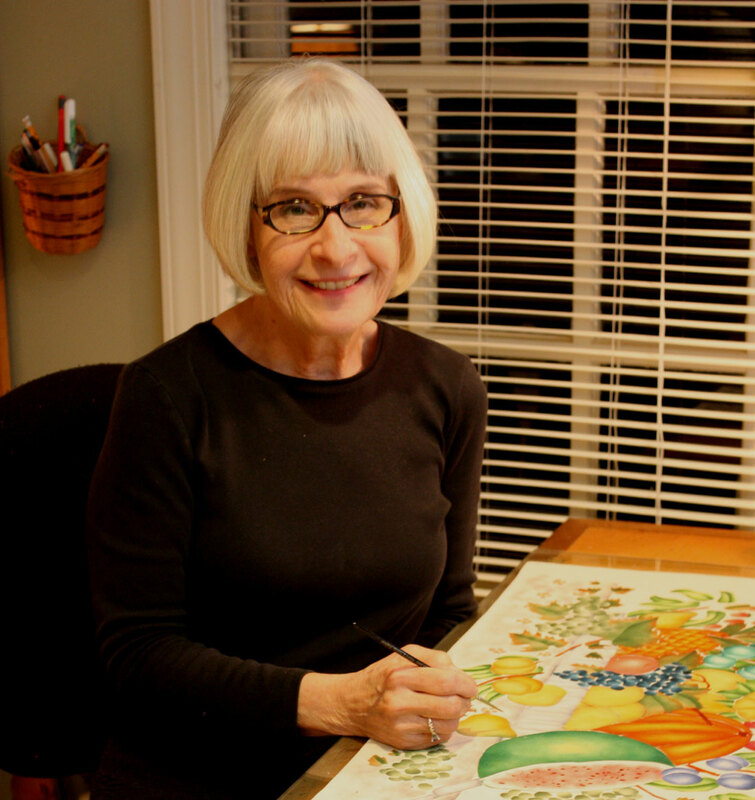 Artist Nancy Rosier has become a nationally recognized artist and authority on theorem painting. Many magazines, newspapers, and several books have featured her work. She has been interviewed often and asked to write numerous “how to” articles. Her work is exhibited and sold at fine-juried shows across the country. She was chosen by the White House to create a theorem ornament for the Blue Room Christmas tree. She has been selected each year for over twenty years as a member of the nationally acclaimed “Directory of Traditional American Crafts” which showcases America’s finest artisans who are dedicated to preserving the early American crafts.